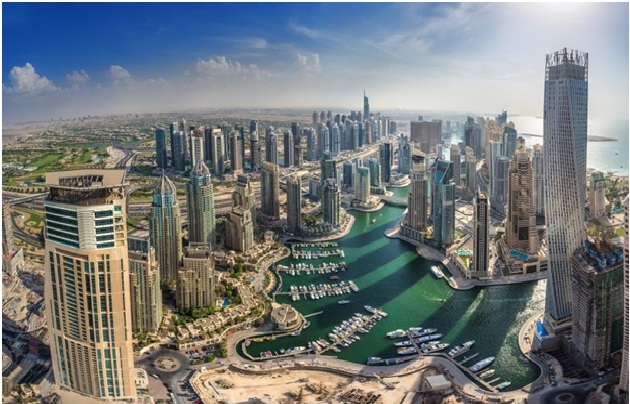 As Dubai’s ever-expanding population demands high-density living, high-rise towers have emerged to help address the housing gap. In the midst of this, smart skyscrapers are becoming icons of sustainable and luxurious living. Not only do they embody smart ways to save energy, they also offer extended conveniences to residents. When talking about the luxury component, prime locations perform better when developed to the highest possible level of luxury. “When it comes to residential development in prime sites, providing less than the maximum units possible with cheaper materials will ensure the project does not meet the highest and best use criteria, and will not be performing financially to its maximum potential,” according to the Edge Design architects. Experts warn that smart technologies, especially when applied in the context of living spaces, should not be overly focussed on being techy to the detriment of the environment or the residents’ wellbeing. Rather, the objective of smart skyscrapers should be to drive convenience and create a holistic, sustainable and inspiring environment. As an example, a smart skyscraper can ensure that a luxury prerequisite — privacy — is dealt with effectively. “Luxury building occupants are generally more concerned about privacy than the average person,” says Nasri and Filipovic. “In most apartment buildings, this privacy breaks down immediately outside the door of each unit. The shared corridor outside the apartment leads to a shared lift lobby used by dozens of residents. The 1JBR tower in Dubai Marina, which won the 2016 Arabian Property Award for high-rise residential development, has been cited as an example of smart luxury living. Slated for completion in 2019, the high-rise development offers unique vertical transportation that ensures all lifts have more privacy than any other building in Dubai. Units on the first 30 floors have semi-private lift lobbies, which means a lobby is shared with only one neighbour per floor. Units from the 31st to the 46th floor all have private lift lobbies belonging to each apartment. The penthouses have private express lifts, so the entire vertical transportation experience is private from start to finish. Can smart skyscrapers balance luxury with green living? Most people feel sustainability and luxury cannot coexist. However, smart luxury skyscrapers can be an exception. But to achieve this, a radical shift in thinking, intertwining the luxury and sustainability labels, is needed. According to a recent IDC Energy Insights report, global smart buildings spending is forecast to grow from $7 billion (Dh25.71 billion) in 2015 to $17.4 billion in 2019. Dubai continues to be at the forefront of such initiatives, from The Sustainable City, which is the first operational net-zero energy community in Dubai that utilises smart grid and other smart technologies, or the Dubai Electricity and Water Authority’s new headquarters, Al Sheraa, which is planned to be the tallest, largest and smartest net-zero energy building in the world when ready by 2019. What the city demands, the city gets. At this point, Dubai is seeking properties that bridge luxury and sustainability in a high-rise living context. And this is where smart luxury skyscrapers can offer a possible solution. The key to sustainability in smart luxury skyscrapers hinges largely on design, which can harness smart technologies to deliver on sustainability principles. Smart skyscrapers should essentially have basic sustainable design principles incorporated within the architectural design and should aim to significantly reduce environmental impact — decreasing the use of natural resources, while increasing health and wellbeing by reducing air pollutants and greenhouse gas emission, and enhancing connection with nature through natural light among others. Additionally, reducing waste and minimising water and electricity consumption should also tie-in with the overall smart objectives of the skyscraper.